The unit itself is actually quite simple in its design. It has fewer buttons that the stock radio that came with my S2000. Like many aftermarket radios, most of the units functions are relegated to the single, large knob on the front of the face plate. This controls not only the volume, put by pressing it, you also access most of the radio's functions such as lighting color, EQ settings, Bluetooth settings, etc. The main knob is surrounded by five buttons: source/power toggle, band/exit, back/dimmer, search, and phone functions. The buttons are a little small, but the only ones I feel like I have any problems with are the buttons to the right of the knob (search and back/dimmer). Other than that tiny design flaw, I find the unit to be very easy to use and took me a whopping five minutes to set up to my liking. 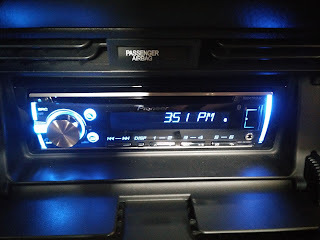 Available functions are more or less the same as what most factory radios offer these days: standard AM/FM radio, single disc CD, USB/iPod/iPhone, auxiliary, Bluetooth, Pandora compatibility, and Siri Eyes Free (for iPhone users). I am quite impressed with how much functionality this unit has considering its size. Factory radios with this much functionality are gigantic affairs that usually take up a large majority of the real estate on the center console. 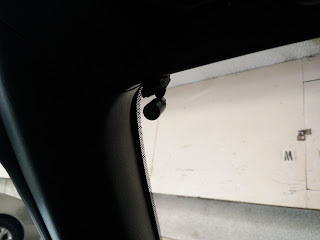 Since I am not an audiophile, I thought that the factory radio in the S2000 put out some decent sound to the car's eight speakers. With the ability to make more adjustments, the Pioneer unit definitely has an advantage when it comes to sound quality. Based on my experience, audio appears to be much clearer and cleaner sounding compared to the factory radio. Bass also seems to be much punchier than with the factory unit. I have not gotten the chance to fine tune the sound with the built in digital equalizer, but using the preset settings seems to be just fine. Besides, odds are that when I am driving at highway speeds, I am not going to be able to hear much difference anyway. So what of the Bluetooth hands free technology? It was one of the main reasons I purchased this new radio head unit. Phone call sound quality sounds as good as pretty much every factory built in hands free I have experienced. It is hard for me to determine how well the microphone works, but based on the few test calls I made, it seems like the person on the other line did not have much trouble hearing me. I have yet to attempt to make a phone call while driving on the freeway, but I get the feeling the microphone is probably going to pick up a lot of noise, making phone calls at freeway speeds difficult. Speaking of the microphone, I do like how tiny it is. I had it mounted on the upper left-hand side of the A pillar so it would not be in my direct field of vision while driving. Overall, I am pretty satisfied with the DEH-X6700BT. It has all the features that I would want and need from a modern infotainment system (sans navigation, which for the S2000 is pretty much impossible), improves the sound quality out of the factory speakers, and does a good job with phone calls. 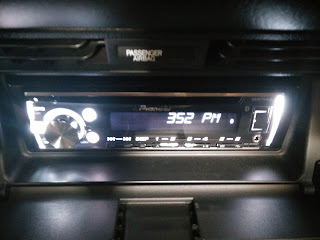 This particular model does lack the capability of adding SirusXM satellite radio, but having been an XM subscriber for three years when I was driving our 2008 Acura TL Type-S, it seemed pretty useless to me anyway. The one thing I find disappointing has more to do with the S2000's design than the radio itself. 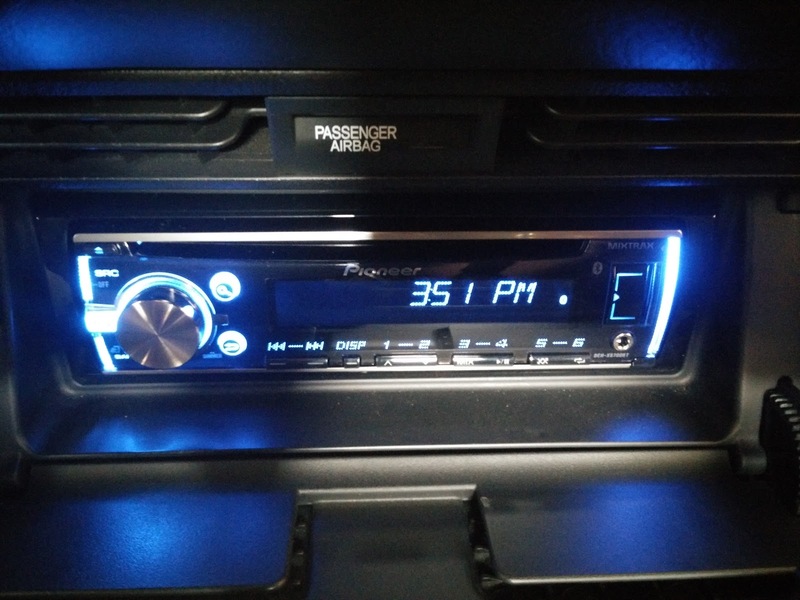 Because the unit's USB and auxiliary inputs are located on the unit itself, it means that if I plug anything into the radio, I am no longer able to close the S2000's radio cover. Fortunately, that is not a big deal, and I have been using the Bluetooth function to stream music far more than I have been using the USB or auxiliary inputs. 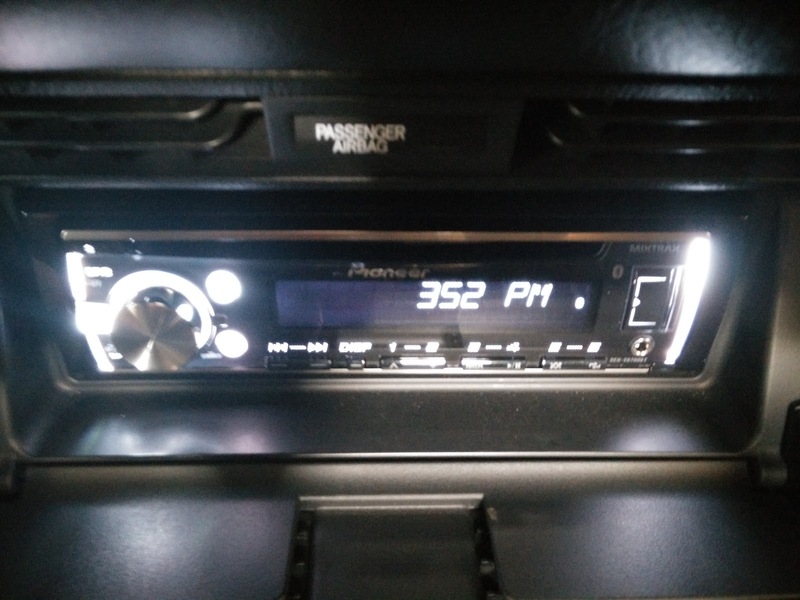 If you are looking for a quality single DIN replacement radio with tons of functions for a decent price (can be found online priced between $96 and $120), the Pioneer DEH-X6700BT is a fine choice.